The simplified and – as many rightly point out – to some extent even dangerous message of the video was answered with a global smear campaign that started picking apart not only Kony 2012 but also Invisible Children’s organizational structures and accounting practices. In the end, Kony 2012 has left behind only losers. The current victims of the LRA in the Democratic Republic of Congo, the Central African Republic and South Sudan remain largely ignored, the formerly war affected communities in northern Uganda feel deeply offended by the video, the work of Invisible Children has been discredited, its co-founder and Kony 2012 producer Jason Russel had a mental breakdown in public, and a huge potential of public awareness that could have really made a difference in Central Africa has been squandered. At the end of the day, the Kony 2012 saga is a very sad story that shows how shallow discussions about complex issues in our mass media still are. Yes, the message of Kony 2012 was oversimplified, yes it painted a wrong picture of what was happening in the LRA conflict, and yes it also offered the wrong answers and sent a dangerous message of militarisation. I adhere to my criticism of the Kony 2012 campaign, and there have been others like Alex de Waal and Mahmood Mamdani who have been much more eloquent and precise in pointing out the real weaknesses in the campaign. If even a couple of thousand people watched the video and then read the highly informed responses of de Waal, Mamdani and the likes, a lot has been done in terms of awareness rising for the complex issues surrounding the LRA conflict. I also maintain that Invisible Children has not been able to convincingly answer the main points of criticism, especially the warnings that another military intervention along the lines advocated by IC against the LRA is prone to lead to only more civilian casualties. But unfortunately this was not the main thrust of criticism brought forward by the big media outlets. As Adam Finck who currently works with Invisible Children in DRC rightly points out when rebutting some of the less well-founded criticism surrounding Kony 2012, the critics of IC also made an error by oversimplifying the work of Invisible Children. As I previously wrote, the work of Invisible Children in the currently war affected areas (mainly DRC and CAR) is of a vital importance. It is one of the few organisations that had the courage of moving into these areas and opening a reception centre for returning LRA abductees/fighters in DRC where it most mattered. It has also helped to build up a high frequency radio early warning system in the area to help civilians to react to LRA attacks in time. The media smear campaign ensuing from the Kony 2012 criticism might have devastating long-term consequences for the work of IC in these areas. I do not regret writing my piece criticising the Kony 2012 video. I think an informed discussion was urgently called for. Yet, I am very sad to see how the informed and balanced criticism brought forward by people working on the LRA conflict was turned into a smear campaign against IC. The CNN interview with Jason Russel and IC CEO Ben Keesey was a good example, showing which kind of criticism was picked up by the mass media. Russel and Keesey were confronted with the allegations raised in public that Invisible Children is not putting all the money it raises with Kony 2012 into the campaign but that only one third is really going into it. They were also confronted with allegations from pedestrians in Kampala who said IC was making money off the misery of war victims. 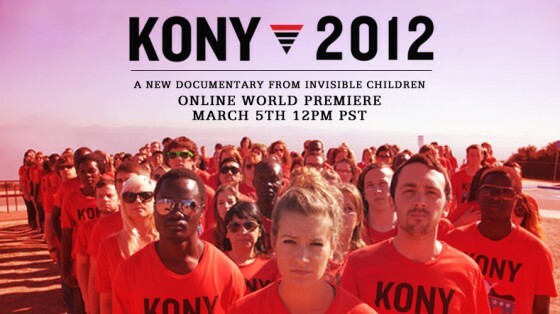 Other media reports included a shot from a screening of Kony 2012 in Lira, northern Uganda. As people watched the movie, anger started to spread through the crowd and the screening had to be interrupted when an angry crowd started throwing stones. Like the Kony 2012 video itself, the media reactions have made the mistake of reducing the issue as one about Uganda. Many, like CNN, did not even bother to go to northern Uganda, where the war affected communities live, but just asked random people in the capital of Kampala for their input. I am not aware that anybody has so far asked the current victims of the LRA in DRC, CAR and Southern Sudan (please correct me if I am wrong). Yes, Ugandans are angry about Kony 2012, and rightfully so. The LRA had ravaged northern Uganda for twenty years between 1986 and 2006 and the world did just not care. In fact we (the West) funded Museveni’s government that violently herded 90 per-cent of the population into camps where it utterly failed to protect them against LRA attacks. People died of Cholera and Ebola or were massacred by the LRA. Instead of helping, government soldiers raped civilians and shot those as ‘rebel collaborators’ who dared to venture out of the camps to search for food. If you talk about a military solution in northern Uganda, these are the memories that you will stir in all Ugandans who suffered during 20 years of conflict in which one military offensive after the other failed to bring peace. Now, 6 years after the LRA has left northern Uganda, shortly after oil has been discovered in the northern Ugandan district of Amuru, at a time when the strategic importance of Ugandan troops in Somalia is paramount for the US, a viral video calls for support of a military US deployment in LRA affected areas while strongly focusing on northern Uganda in its narrative. How would you react? Yes, people are furious, they are disappointed, they feel ridiculed and insulted. Most think the US is coming for the oil and is there to stay. Some of my Ugandan friends may disagree or even be angry with what I write now, but the story does not end there. It is true, the way Kony 2012 told the story of the LRA is hurting and disrespectful to their Ugandan victims. But there are still people who are being attacked by the LRA on a daily basis in DRC, CAR and Southern Sudan. Northern Uganda is, after all, enjoying relative peace since 2006. But who says that today’s victims do not want protection? My qualified criticism of Kony 2012 mainly focused on the fact how the solution IC offered was flawed, but it was not completely wrong. And, instead of leading a smear campaign, it was the duty of the media to discuss the topic intelligently. A military intervention can help, if, and only if some conditions are fulfilled. First, it has to focus on the protection of civilians, not on hunting Kony. This was the main mistake of IC’s message. Second, it has to include a strong focus on training the troops of the regional armies, especially in human rights issues. The armies should protect the civilians, not abuse them. Third, the US needs to provide their allied armies with adequate transport to catch Kony, especially helicopters. Fourth, a strategy furthering LRA defections is needed, something IC admittedly already does but has communicated poorly. Fifth, the root causes of the conflict in northern Uganda have to be tackled. For this to happen, we need Western donor governments to put significant pressure on the Ugandan government to pay compensation to the war victims, keep up and boost efforts to develop northern Uganda, and end the political marginalisation of the north, as well as the discrimination of northerners on the labour market. An intelligent discussion of the impulse provided by the Kony 2012 campaign could have lead to public awareness and pressure towards implementing these five crucial points. Instead, a simplified message was answered by a smear campaign and over 80 million clicks have gone to waste. On a more personal note, I was deeply saddened when I read about the nervous breakdown of Jason Russel because I can relate to his strong personal motivation. He gave a promise to a Ugandan boy to change something, and even though he may have caused harm with his Kony 2012 video, he has an admirable drive to change the misery he witnessed. During my field research I was asked several times by interviewees what I would do with the information to help change the situation of LRA victims or to end the war. I could only say that I will use the information to write a balanced PhD that will hopefully help guide future decision makers to make more informed choices when they have to grapple with armed conflicts. Jason Russel tried to do a lot more, but I am afraid that he has tragically failed – at least with this particular campaign. The media coverage of the next few days will undoubtedly focus on his public breakdown and all the good that could have come out of Kony 2012 might be irrevocably lost. This entry was posted in Advocacy, Democratic Republic of Congo, Lord's Resistance Army (LRA), Southern Sudan, Uganda and tagged Central African Republic, DRC, Invisible Children, Jason Russel, Joseph Kony, Kony, Kony 2012, Lord's Resistance Army, LRA, LRA victims, northern Uganda, Southern Sudan, Uganda, US deployment. Bookmark the permalink. The Republic of South Sudan became an independent nation on July 9, 2011. If that is what you are referring to then it is simply “South Sudan”. Otherwise if you are referring to a broader geographic region, Southern Sudan is a bit deceptive as it is only the South/South-West of “Southern Sudan” that is affected by the LRA. You would likely get a confused reaction from most “Southern Sudanese” if you told them they lived in LRA-affected areas. I could also be daft but I don’t see anything on their website about Invisible Children working in “Southern Sudan”. And, quite frankly, there are many NGOs that have been working with communities and individual victims of the LRA in what is now South Sudan for a decade or more. It’s not particularly courageous; it’s pretty standard international NGO work. Thanks for the comment. Yes, it should say South Sudan, you have already pointed out why. The comment on Invisible Children mainly aimed at their work in DRC. Parts of South Sudan have been affected by the LRA for a long time, but the heaviest LRA activity in these regions was between roughly 2002 and 2008. The main areas currently affected are in CAR and DRC in which fewer NGOs work in the LRA issue. That was also what my comment on ICs work was aiming at. this is what the invisible children campaign has been using the money for, making awful glee videos. I second Patrick. Honestly, you cannot script this stuff. It’s mind-blowing or mind-numbing – I still can’t decide which. Thank you for sharing this video. I can’t believe it. Speechless and dumbfounded. I wouldn’t give IC a dime. What would your answer have been? I was realistic and honest, I told them that I am a researcher and I did not pretend to be doing anything more or less than balanced research on the topic. And FYI people were actually glad about it. Most found the approach of the International Criminal Court to the conflict highly problematic and welcomed that someone was taking a closer look at it on a scientific basis. Thanks Patrick for the thoughtful reflection. Certainly agree that the media totally missed the boat in only reinforcing the focus on Uganda, as opposed to focusing more on currently affected areas. My colleague Paul has written from South Sudan with reactions from some there who have seen the video; predictably, it’s a far different perspective than one would find in Uganda. BBC just did a piece from there as well. A load of local civil society leaders in DRC have started to speak out in support of the policy push behind the campaign (though I don’t think they have yet seen the video). Two other quick notes. One, I don’t think De Waal or Mamdani were particularly thoughtful in their responses. De Waal — quite bizarrely — based his comments on a 6 year old ICG report. ICG has since released two or three more, and the reflections in the more current reports would totally change his judgment that things are just fine in the way regional governments are handling the situation. Mamdani’s piece was riddled with factual inaccuracies that underpinned his argument — he’s wrong on the Amnesty Act (which is law), drones (there aren’t any), and civilian populations being targeted by both the LRA and the military (most civil society leaders in currently-affected areas have called for more, not less, military pursuit of the LRA). And the two arguments were quite at odds with each other. Second, it goes to note that the campaign policy agenda — as reflected in Paul’s report, the letter to Obama, and the resolutions introduced in Congress — actually is almost indistinguishable from what you call for, with the exception of focusing on apprehension vs. protection. That’s a discussion I’d love to have some time, as in our view, it’s something of a false dichotomy. Efforts to keep the LRA on the run and reduce their capacity during offensive ops are critical to preventing them from committing large-scale attacks, as protection is quite unachievable in an area so vast with populations so dispersed. This approach has been validated by the current trajectory on the ground over the past six months — increasing defections, decreasing scale and regularity of deadly LRA attacks. So it has to be a both/and effort. Thanks for this thoughtful and interesting comment Michael. I think Mamdani is not completely wrong when stating that the civilians suffer under both the LRA and the regional armies. This has been an unfortunate trademark of the LRA conflict since its inception. It started with the ‘protected camps’ strategy of the UPDF and there are still reports that elements within both the FARDC as well as the UPDF are committing abuses against the civilian population. The main point that appealed to me in Mamdanis article was the fact that he pointed out that the root causes of the LRA conflict in northern Uganda still have to be dealt with. Something that the Kony2012 approach completely overlooks. You are right that some of my suggestions are actually mentioned in the IC letter to Obama, I realised that when I re-read it yesterday. Still, the crucial point is that some pressure on the Ugandan Government is needed to tackle the issues of marginalisation in northern Uganda in earnest. The PRDP and other Ugandan initiatives are a start, but most people in northern Uganda agree there is a long way to go. 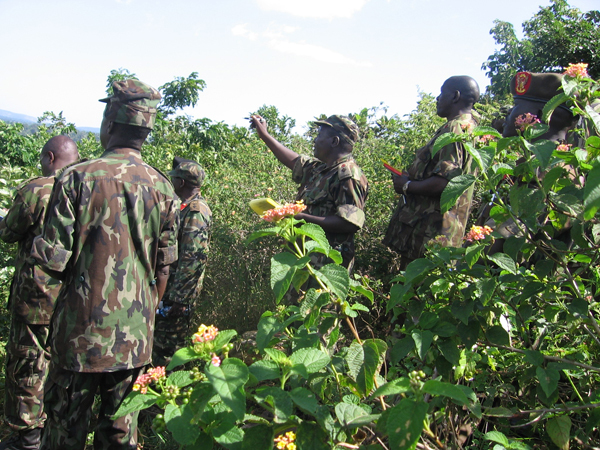 Durable peace in northern Uganda is key to the reintegration of the LRA. You made a very interesting point about the question whether defending civilians and chasing the LRA is the same thing. I have actually been thinking about this issue since yesterday when I transcribed some interviews with UN stakeholders in the area who were also advocating a military approach pursuing Kony. The problem is that in the end both approaches are not really feasible. The area is too huge to protect all the civilians, but it is also nearly impossible to chase LRA groups of 10-15 men who move up to 50 km per day in the dense jungles. Even with helicopters the range is limited and UN soruces told me it would be a logistical nightmare to pursue the LRA groups deeper into the jungles. Several bases for refueling helicopters would be needed etc. I am a bit at a loss here and not really sure if there is an effective way to counter the LRA militarily. Thanks Patrick. On the military piece, I didn’t mean to imply that there aren’t abuses committed by the militaries; only that Mamdani’s attempt to obfuscate the situation is not particularly helpful or accurate. Absolutely, FARDC (especially) abuses have been rampant, and there have been some incidents of UPDF abuses. But Mamdani went beyond that to put words in the mouths of civilians in currently-affected areas, and assumed the same dynamics in northern Uganda in the 90’s and early 2000’s extends now to currently-affected areas. If you read Oxfam’s survey of Congolese communities, for instance, they all acknowledge fear of the FARDC, but list LRA violence as the number one threat to their safety. Notably, perceptions of the Ugandan military are relatively positive. And civil society leaders continue to push for improved military efforts (in addition to outreach for dialogue) to seek Kony’s arrest. That’s a far cry from the implication of Mamdani’s argument. On northern Uganda, we of course are in complete support of the long-term project of integrating and reconciling the region with the rest of the country — economically, socially, politically (and the LRA Disarmament and Northern Uganda Recovery Act was 50% focused on that). However, it seems unlikely that the lack of progress in this sense has any significant impact on ongoing LRA violence. In the many debriefings with LRA defectors we’ve held or read, none have cited the situation in northern Uganda as a factor in their decision-making. Ironically, De Waal’s piece reflecting on the ICG report also argued that progress in northern Uganda has been quite positive and exceeded expectations, though that’s obviously up for debate. It is however worth noting the dramatic reductions in poverty levels across the wider north over the past six years, and the big bump M7 received among northerners in the 2011 elections (though of course impossible to say how much of that was just due to the government’s corruptions of the process). My main point here is just that it is justifiable to focus on what is needed to end LRA violence without including a significant focus on political reconciliation and development in the North. On the prospects for success for military efforts. We are not military planners, so largely avoid weighing in on the specifics. But, we are at least convinced that (a) deployments for protection can and should be expanded by the UN and regional governments, (b) pursuit is necessary to protection, for the reasons outlined above, and that (c) attacks on high commanders or pursuit of Kony have to be done in a way that anticipates possible reprisal attacks. Stimson Center did a report looking at this issue — not on the LRA, but broadly situations of mobile insurgencies and dispersed populations, and how pursuit is necessary for protection in such cases. I think the feasibility question is well said, but is not a black and white issue. The evidence here is mixed. Over the past two years, no mid-level or high-level commanders have been captured or killed, but increased military pressure has forced high-level commanders to move into unpopulated areas and attacks have declined considerably. Moreover, over the past six months, we’ve recorded more defections than abductions for the first time since we started recording data (obviously a highly imperfect measure, but not negligible). If you go back to 2009 (post OLT f-up), when Ugandans had 4000 forces in the field instead of 1200, there were quite a number of notable successes — Arop, Kwoyelo, etc., and a reduction in overall LRA fighting capacity. So clearly, military efforts face challenges, but when equipped and organized in the right ways, they have also been shown to work. The question now is how much better they will work with the addition of the U.S. advisors, and hopefully helicopters and increased aerial surveillance, and whether these things can close the gap on Kony, Ongwen, and Odhiambo. Certainly remains to be seen. Basically, I think it’s far too early to judge whether KONY 2012 was a “waste” as you imply. We are in phase one of this effort. I am confident it will result in enhancements to U.S. policy at the least (where we had a plan in place with the campaign) not only on the military side but the diplomatic effort and civilian programming as well. Who knows on other countries, though there may be increased political incentive for leadership on the issue in countries where the film was well-received (largely in the west). Only time will tell if my conviction about U.S. policy bears out, and even further, whether the things we are asking for have the impact we believe they will. I’m glad that we have the data-collection being done with the LRA Crisis Tracker to be able to assess that on a somewhat granular level. Thanks again for the comment and the additional information. Just to clarify, I implied Kony 2012 might be a waste due to the largely unproductive discussions in the media. I am still hoping that something positive comes out of it but I think another angle of discussion is needed, one that is not focusing on the polemics surrounding IC but rather on the situation of the victims in the currently affected areas. I think the main challenge at the moment would be to close the ‘gaps’ in the military approach. There is already evidence that the LRA has adapted to the new strategy by focusing its attacks on the DRC where the UPDF as the most capable force are not really present. I doubt that the US trained FARDC troops (391st Batallion I believe) that the US wants to see stationed in the affected areas can alone make a difference. That said, I guess one of the problems is also the lack of knowledge in the general public and even among some scholars what the IC advocated military approach really means in practice. On these points, we agree completely!! My 2 cents: The way I see it, the fact still remains that many have been greatly affected by Joseph Kony’s actions. In regards to the KONY 2012 video, I do believe that it contributed to raising awareness to a serious issue that millions were clueless about. Hence, it going viral! We may not know the filmmaker’s intentions or whether the funds raised are getting to the people that actually do need them (funds channeled through his organization). Many of us have a ton of questions that I believe should indeed be addressed. However, with all these qualms going on, I do hope that the children will remain our focus as they are the ones who hurt each passing day. I agree with Vee, As a 20 year old it was upsetting for me to learn about this over FACEBOOK. Why hadn’t I known who Kony was sooner? Everyone seems to be missing this point.. 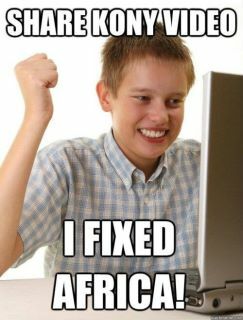 Either way, it offends me when people go around posting those pictures like your “Share kony video, I FIXED AFRICA!” picture. We all knew it wasn’t going to fix africa. Are you kidding me? It seems to be the cool thing to put down those who admitted to themselves that yes – they had heard of this issue via social media and yes maybe others ought to hear the video too. I shared the video to spread awareness. If I had to educate myself via facebook – so be it. I wish the video had been more informative, maybe they were trying to reach a very broad crowd, but because of that I was forced to do my research. Honestly, after seeing that glee video I am disgusted with the IC for not taking a serious approach on this. I doubt that video cost much money, but what a bad look for the IC. It reminds me of the old school Blink-182 music video.. not a proper approach for such a complex issue. Either way I do wish people would stop bashing those who shared the video. It was effective, whether it was done perfectly or horribly.